“I got my license years ago and let it expire, how do I reactivate it?” is one of our most frequently asked questions. This post explains how to reactivate an inactive MA real estate license. As a Massachusetts real estate school, who else would you call to ask that question? Many people could call the Board of Professional Licensure, but they call us at Keep Me Certified probably because our number is easier to find. Reactivating a real estate license is easy and a more common process than one might expect. First, let’s define what it means to have an expired real estate license in Massachusetts. Every two years real estate agents are required to complete 12 credit-hours of continuing ed. Upon completing this continuing ed requirement, agents fill out a simple renewal form from the state certifying that they completed the course (under penalties of perjury), signing their name, and mailing it in to the Board. If a Massachusetts real estate license goes un-renewed it becomes “inactive”. This means licensed agents cannot engage in any real estate transactions until their real estate license is reactivated. To reactivate a Mass real estate license, agents are required to complete the same 12-credit required continuing ed course and to submit a license renewal/reactivation form with the current renewal fee to the Board. It is that simple. 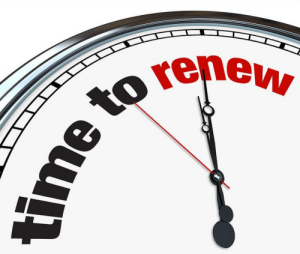 If you still have questions about the process or where to access the renewal form, give the Board of Professional Licensure a call at 617-727-2373. 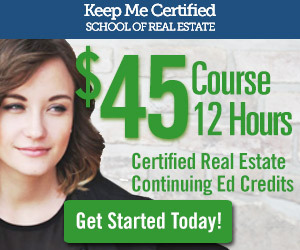 If you are looking to renew or reactivate your real estate license, our board approved real estate continuing ed course is available online 24/7 at keepmecertified.com.